Despite Microsoft’s Turn 10 Studios announcing that it will be releasing its latest Forza Horizon instalment in October, it is still good to see the developers work on its current game, the Forza Motorsport 7. 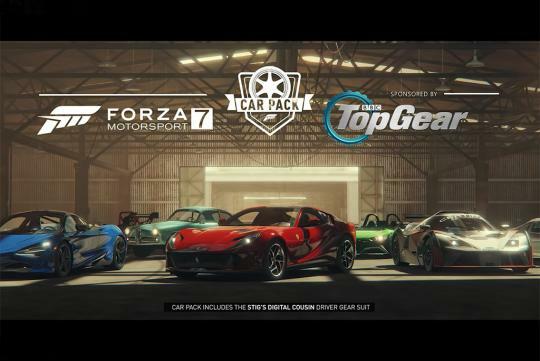 For the month of July, the company, together with Top Gear, have relased a new car pack. The new cars include the new McLaren 720S and the Ferrari 812 Superfast which we can't wait to drive. The pack also includes three track cars that we aren't very familiar with - KTM X-Bow GT4, Vuhl 05RR and Exomotive Exocet Sport V8 XP-5. Last but not least, classic car fans would love the inclusion of the 1958 Alfa Romeo Giulietta Sprint Veloce and the 1964 Porsche 904 Carrera GTS.